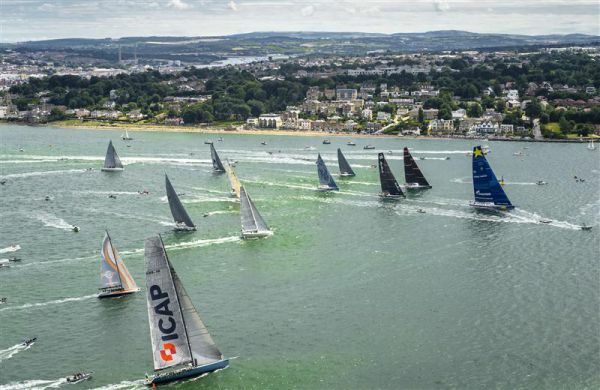 RORC expects another fantastic fleet for the 90th Anniversary of the Fastnet Race and is anticipating the entry limit of 340 boats to be reached quickly, just as in 2013 when the race filled up in less than 24 hours. As the Rolex Fastnet Race has been oversubscribed for the last four editions, with some RORC members struggling to get a place in the race, the RORC has made the decision to give preference to entries from RORC Members for the first week of the entry list being open. Registration will open at 1200 (UTC) on Monday 12th January, when everyone will be able to register their interest. At the end of the first week the RORC will allocate all RORC Members a place on the race, as long as they are able to show that they will be able to meet the entry qualifying criteria, as per the 2015 Notice of Race. The remaining places will be allocated in the order in which they registered. "This is a fantastic opportunity to help our members participate in the club's founding event in such a special year. In the past it has been extremely hard to tell a member of the club that unfortunately they have been put on the Waiting List as the race is full," commented Nick Elliott RORC Racing Manager. The entries will again be required to pay a non-refundable deposit to secure their place in the race and submit a proposal for how they intend to satisfy the experience qualification criteria of the race. Registration is done via the RORC Online Entry System, REMUS. Competitors are advised to make sure their boats are already registered on REMUS prior to the Registration List for the Rolex Fastnet Race being opened on the 12th January. 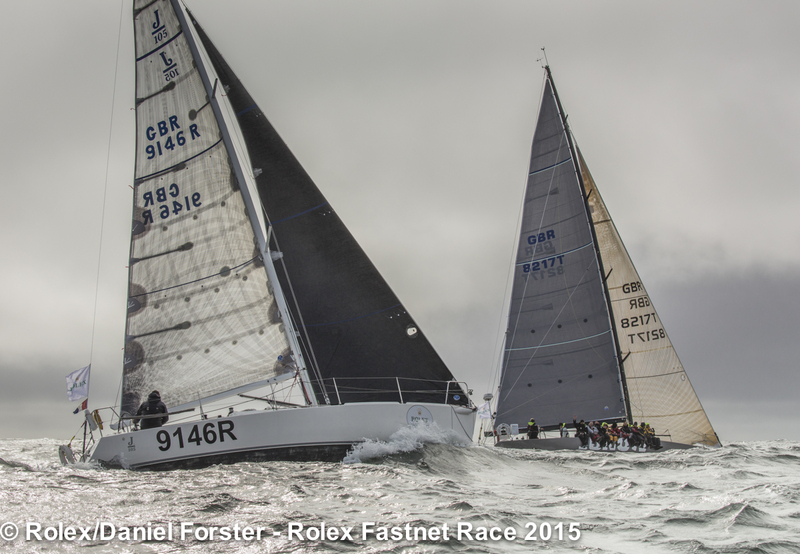 The 100 foot (30.47m) LOA monohull limit set by a number of the classic 600 mile races such as the Fastnet, Sydney Hobart and Middle Sea races has been lifted by the Royal Ocean Racing Club and the Royal Malta Yacht Club for the 2015 editions of the Rolex Fastnet and Rolex Middle Sea Races. This will allow superyachts participating in the Atlantic Ocean Racing Series to compete. The AORS consists of four events: the RORC Caribbean 600, the 2015 Transatlantic Race from Newport to the Lizard, the Rolex Fastnet Race and Rolex Middle Sea Race. Superyachts have always been eligible to race in the RORC Caribbean 600 and a number have entered for the west to east Transatlantic Race at the end of June/July 2015, organised by the Royal Yacht Squadron and New York Yacht Club in association with the Royal Ocean Racing Club and Storm Trysail Club. 54 teams entered the 2015 Rolex Fastnet Race racing in the IRC Two-Handed Class from Belgium, France, Great Britain, Holland, Ireland, Monaco and the United States of America and the winner, after over four days and nights of racing, was decided by just 23 seconds, with the top 18 yachts just 5% apart after time correction. For most of the two handed competitors, food will have been simply fuel, and sleep will have been the ultimate luxury. Racing two handed for 603 nautical miles non-stop, spending most of the time alone on deck is tough. To perform well requires an all-round ability where both crew need to be able to accomplish any task on board. 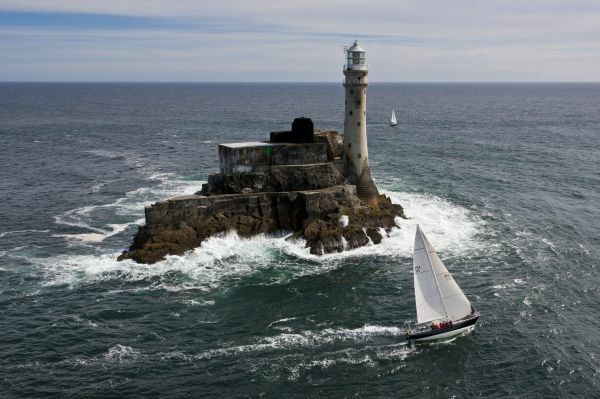 This year's Rolex Fastnet Race proved to be a long hard marathon for the 108 sailors racing in the Two-Handed Class. The fastest yachts have taken over four days and nights to complete the course and some of the slower yachts are still out there battling against the weather and their fatigue. Tenacity, patience and a will of iron, coupled with expert seamanship and racing prowess is what’s required to take on the Rolex Fastnet Race two handed. Make no mistake, it is an extraordinary challenge. The 2013 overall winner of the Rolex Fastnet Race was Pascal and Alexis Loison's JPK 10.10 Night and Day, the first ever two handed overall victory in the 90 year history of the race. Night and Day was back this year to defend their title. During the race the father and son team were very much in the running for the Two-Handed Class, even the dream of the overall win. However, the French champions were defeated by the narrowest of margins by a rookie British team. 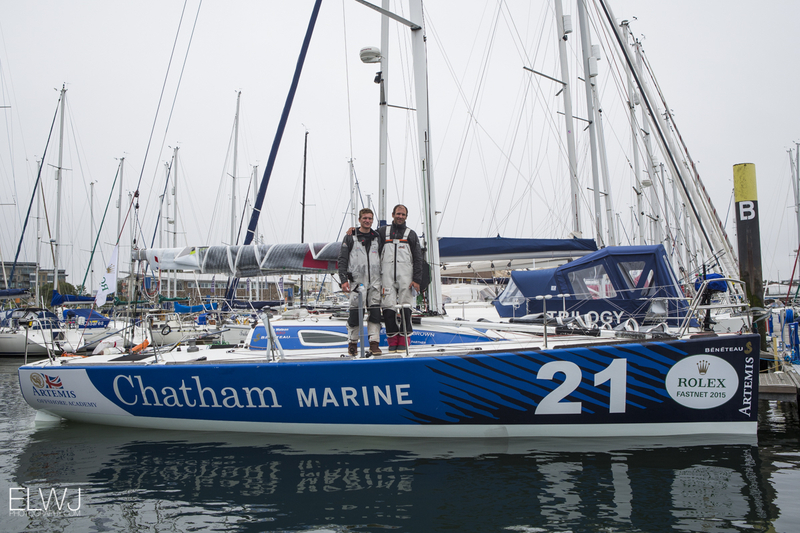 Gonzalo Botin, campaigning Tales II, a design by his brother Marcellino, returned to the Rolex Fastnet Race and succeeded in making reparations after finishing second Class40 in 2013. This year’s race was no less intense for the Spanish team, who’s crew was the same as it was two years ago, including round the world sailor Antonio Piris and America’s Cup navigator Nacho Postigo. The Class40s were once again the biggest of the non-IRC classes with 22 boats entered, the whole fleet peppered with talent and big names. Cabinet Z of France’s Cedric De Kervenoael led the boats away from the Isle of Wight and pretty much all of the Class40s struggled to make it along the north side of the mid-Channel Casquets Traffic Separation Scheme. Some had to sail backwards to avoid being dragged into it by the tide and this immediately split the fleet in two. After passing the Casquets it was the radical Forty(1)Design Concise 8 that pulled ahead, Tony Lawson’s boat on this occasion being skippered by young gun Jack Trigger. Five boats competed this year in the Rolex Fastnet Race’s Figaro class, all sailed by crews that originated from the Artemis Offshore Academy. The AOA seeks to develop shorthanded professional offshore racing sailors in the UK via the Figaro class, in the hope that one day one of them will go on to go one better than Ellen Macarthur did in 2000-1 and do what to date no non-French sailor has done, and win outright the Vendée Globe, the singlehanded non-stop race around the world. 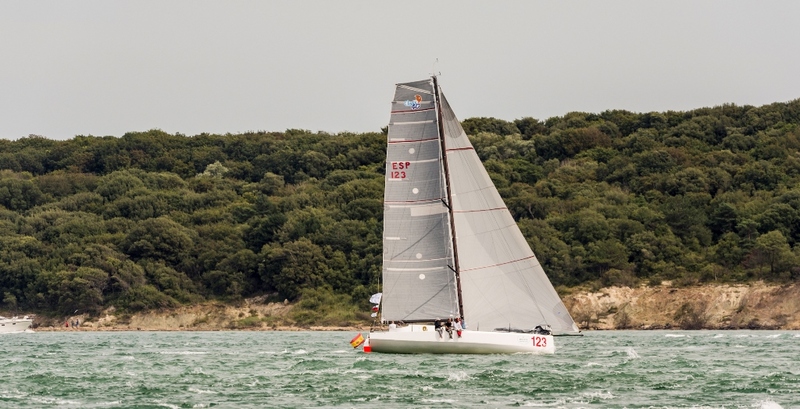 The Beneteau-built Figaro 32ft one designs are very evenly matched and typically race in a pack so it was with some surprise that in this year’s race there was such a stand-out winner.